Welcome to Astro Burgers, a locally owned restaurant, operating in the Salt Lake Valley for over 35 years. We specialize in bringing you classic fast food as well as Greek and Mexican specialities, and we pride ourselves on using only the highest quality and freshest ingredients. We are famous for the monstrous Astro Burger. This menu staple includes a ¼ lb fresh hamburger patty with cheese and a hearty topping of pastrami. You may also enjoy our hand battered onion rings or thick creamy shakes. Whatever your taste buds desire, Astro Burgers diverse menu has something to offer everyone in the family. Astro Burgers is a locally owned charbroiled burger restaurant started in Utah in 1982 by John and Soula Lyhnakis. Greek immigrants, John and Soula originally learned the business running restaurants in Los Angeles, California. In 1982 they moved to Utah for better business opportunity and to raise their growing family. In June of that year the first Astro Burgers was opened with John's cousin Angelo Tsoutsounakis. In 1986 the couple opened their now flagship location on 6800 South State. John and Soula's three sons, Vasili, George and Michael grew up in the business and helped their parents open two more stores, one in South Jordan in 2002 and another in Draper in 2006. 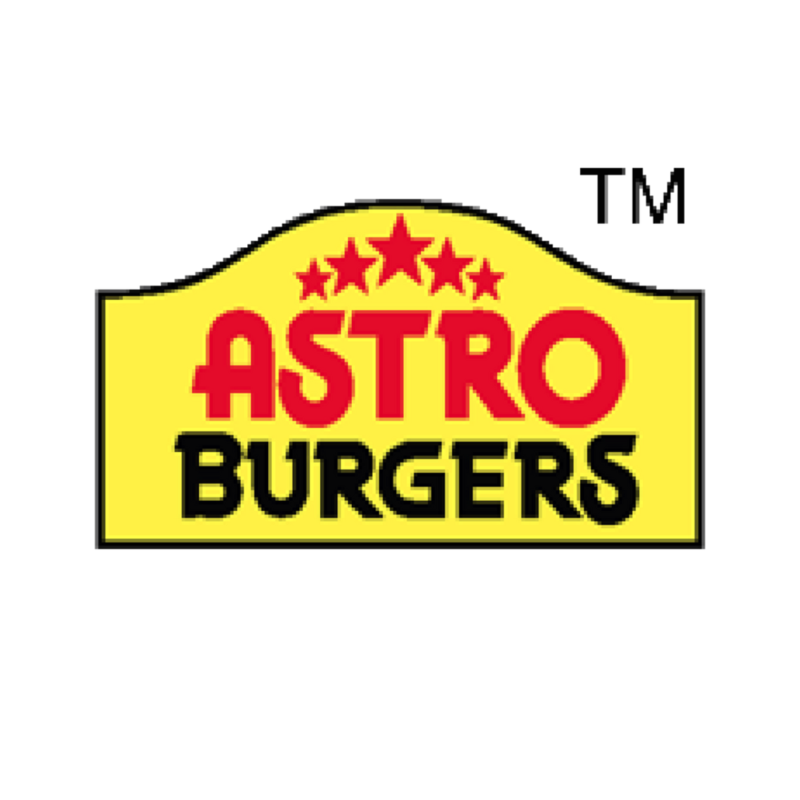 Now you can typically find one or more family members at any given location always ready to greet their customers and friends and to offer the quality and service Astro Burgers has been known for these past 35 years. Astro Burgers prides itself on the highest quality ingredients delivered daily including fresh, never frozen, lean ground beef and produce. We offer a healthier way to eat fast food- we charbroil our burgers, chicken and steaks. Our onion rings are hand battered daily and served with Astro's homemade fry sauce. And most importantly, we prepare each burger and every menu item made to order- please ask for things how you want them!